The dust is settling around the technology giants like Amazon and Google runs. So let's see what we have going on in the major indices. 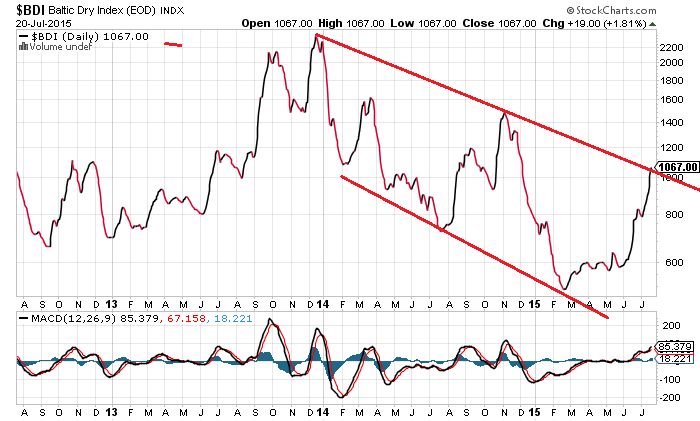 Let's take a peek at the Baltic Dry Index too. I was listening to a radio program the other day and the guest was a perma-doom and gloomer. The only bad thing he could come up with on the economy was that commodity prices are falling. He said the recent weakness in oil and copper are leading indicators of growth. He failed to comprehend that oil is traded in US Dollars globally and pretty much all of any particular commodities movement is directly inverse of the dollar. Yes, the dollar is rebounding lately. So there you have the reason commodities are falling off. I suspect the strength of the dollar is on the back of the FED's latest news on rates. The recent gains put up on the Nasdaq Index are looking like the index is in need of a cooling off. Looking pretty overbought. Especially in RSI 2. 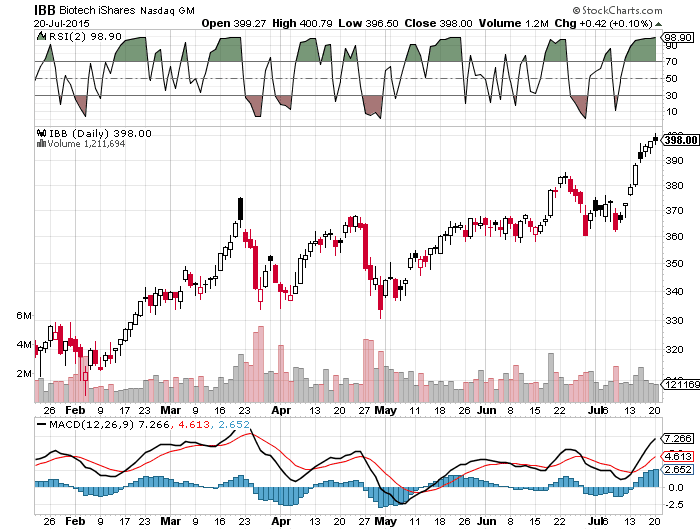 Biotech IBB is overbought as well. On the other indices like the S&P we are at resistance levels. 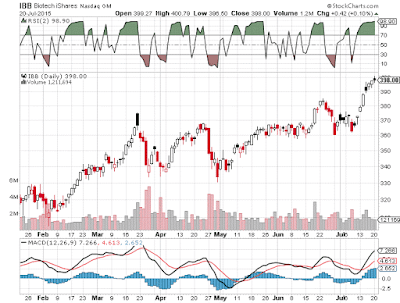 Small-caps (Russell 2000) are not even running much nor bullish looking. Something has got to give on these indices because they will mimic each other eventually. This is because they are mostly determined by futures contracts. Yes futures contracts control the market. Let's look at some charts. First is the Nasdaq itself. Looking very overbought. Vertical actually!! Needs to settle down. Doji candle printed today. 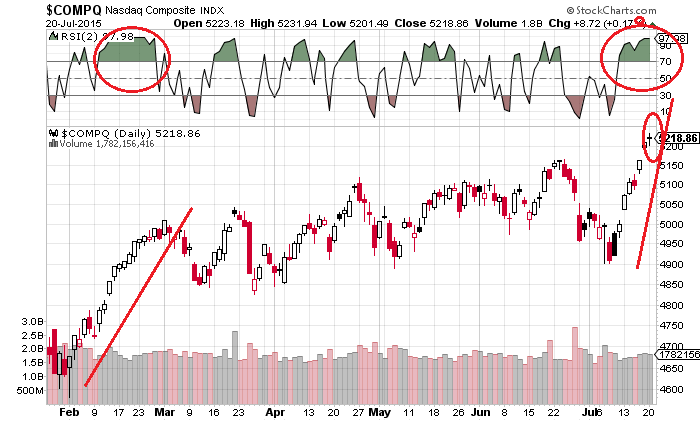 Another trend reversal indicator. I circled the RSI and doji. Biotech IBB is pretty much an identical chart except it has broken out a little more and is hanging even more overextended. It's such a bullish chart breakout though I don't know how much of a pull-back it will see. Same goes for the Nasdaq. I very well could be wrong and everything rips higher. Technically everything looks due for a pause atleast. 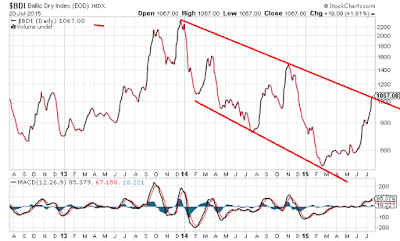 The Baltic Dry Index is running lately. I'm not convinced it is going to continue as it has had similar runs and corrections on trend. The trend is down. This could be the top of the downtrend as I drew on the chart below. We shall see shortly. I grew up with cats in the house. When I was five or six years old I got a cat. I was going to name the cat Garfield but it turned out not to be a male. Ms. Garfield was debated. Name plans blown we called her Princess. My sister got a cat named Midnight later as well. I had a roommate who had a Jack Russell Terrier too. I never really thought much about veterinary hospitals and practices as a big business until I started paying my recently rescued cats bills. Last Fall I rescued a kitten from behind a shopping center. She was just walking around all by herself meowing at me. She was only about 2 months old so I took her in. I took her to a veterinary practice just a half mile from my place. It's called a vet hospital but they do routine appointments. My little kitten Precious was healthy. She had some eye and nose crusting we figured were just allergies. Maybe a couple months later she exhibited some symptoms of a urinary tract infection. My ex-girlfriend took her to the vet and yep she had a UTI. She had an eye infection too. Twelve or fourteen days of Amoxicillin later she was cured. A few weeks ago she got another infection and thankfully after yet another round of antibiotics she is fine again. Her allergy symptoms are almost all gone as well after I gave her antibiotic drops in her nose. After all of those appointments and treatments I realized having a pet can almost be as expensive as having a kid at times. I knew this before I got the cat of course but it finally hit home. We love our pets almost like children. I did some research on pet spending and not surprisingly Americans spend steadily on their pets. About three-quarters of Americans have pets. This is a huge business. Americans spent $61 billion on their pets in 2011. The BLS government statistics on this are pretty astounding. Take a look at the full article here. Some of the interesting points are as follows. So not only were pet companies a recession beater they are a baby boomer play also. In my quest for public pet companies I have fallen for two stocks I'd like to take home. The first one is VCA Inc.(WOOF). WOOF has 643 animal hospitals in the US and Canada. It is a $4 billion company. It has a solid balance sheet, good profit margins and growing free cash flow. Return on equity is 11%. Forward PE is 21. 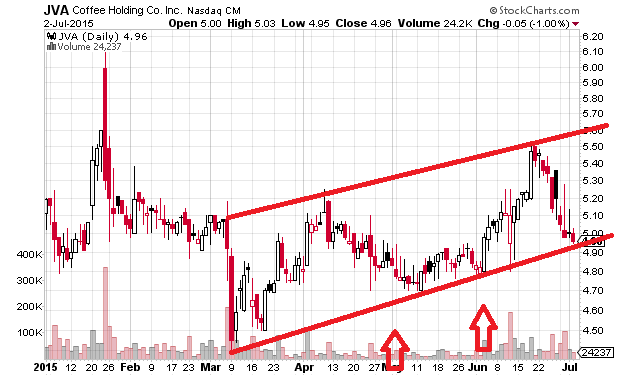 The stock has been on a run and just broke out to a new high yesterday. The second stock is Petmed Express (PETS). PETS is a much smaller company with a market cap of just $370 million. They sell prescription drugs and pet supplies. PETS has similar healthy margins like WOOF. Net profit margin is 7.6%. Much better than WOOF PETS sports a whopping 23% return on equity and 22% return on assets! These are return on equity numbers that would make even Warren Buffet do a double take. This company has an incredible balance sheet with zero long-term debt. Solid free cash flow is there and to boot the company pays a big dividend. The dividend yield is 4%. The stock is also hitting fresh highs over $18 a share now. As I've made the case pet stocks are a must for a portfolio. full disclosure: no current position in WOOF or PETS but am looking to buy both. 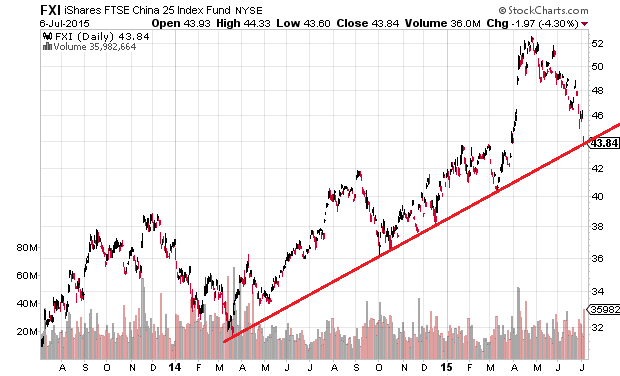 I keep hearing on CNBC that China is crashing. Every day there is talk about how urgent the situation is. Let's refute this idea with some facts. 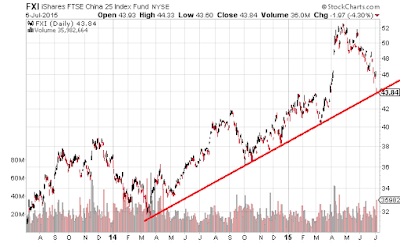 First of all the current price to earnings ratio (PE ratio) of the I-Shares China 25 Index is a whopping 12. Yes, a PE of 12. A PE in the teens is not high for the largest companies in China let alone any stock of index. Around the high this year it was closer to 20. Still no bubble territory. In the 2007 Chinese crash the PE of FXI was closer to 40 than the teens. In the 2007 crash there was a double top formation. There isn't a bearish chart formation here. 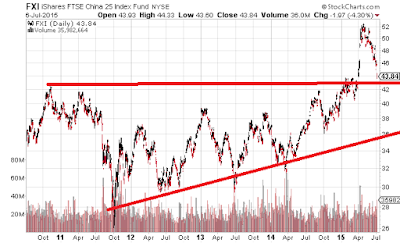 The current chart of the China 25 FXI is actually bullish. The first chart below is the most recent trend line. It is being tested right now. 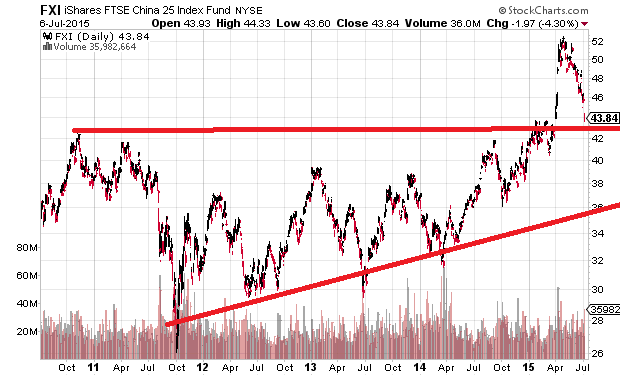 The second chart is a long-term chart of FXI which shows the long trading range it was stuck in for years. It finally broke out of this range which is bullish. It just broke out this year. This is not a parabolic move to the upside. We finally just hit some highs! The red line on the top is the top of the trading range. The red line on the bottom shows the uptrend. If the index falls to the low 30s we are closer to a crash. A crash would be if the upper 20s get taken out. I posted on Coffee Holding Company JVA before because the company was trading for around net tangible asset value. It had some decent flashes of operating ok. I still see potential in the business. They just recently released results of the second quarter. Sales were up 19% year over year. Sales growth came in all the businesses which include green coffee, private label, and branded products. Gross profit was blown however because of hedging with futures contracts. Selling and admin expenses were down but because of the blown gross margin the loss on the quarter was -.33 a share. This company could make a lot of money if a decent gross margin could be had. I crunched a couple years numbers. In 2014 they had a 14% gross margin, 2013 was 4% and 2012 was 6%. The entire industries gross margin is around 29%. Still looking for good in 2012 the company was free cash flow positive. They just launched a new product line that has had good feedback and We have also commenced sales of our Café Caribe label into Stop & Shop, a large retail grocery chain with more than 275 locations throughout New England, New York and New Jersey. So it looks like sales are probably going to do well. If they just watch margins there is potential to be unlocked. 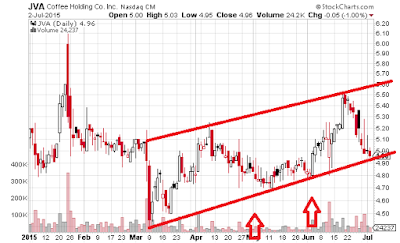 Technically the stock at around $5 is testing some support and possibly could be beginning an uptrend. My first reaction to this possible trend is to take a 1/4 or so of a full position right here on this support. Looking at the lack of strong buy volume recently makes me think waiting for more of a confirmation of the uptrend is more prudent. Let's see what it does first. If it hits over $5.50 the uptrend is pretty clear.